Skinny Scandinavian Eggs Benedict – Healthy, EZ, Yummy! 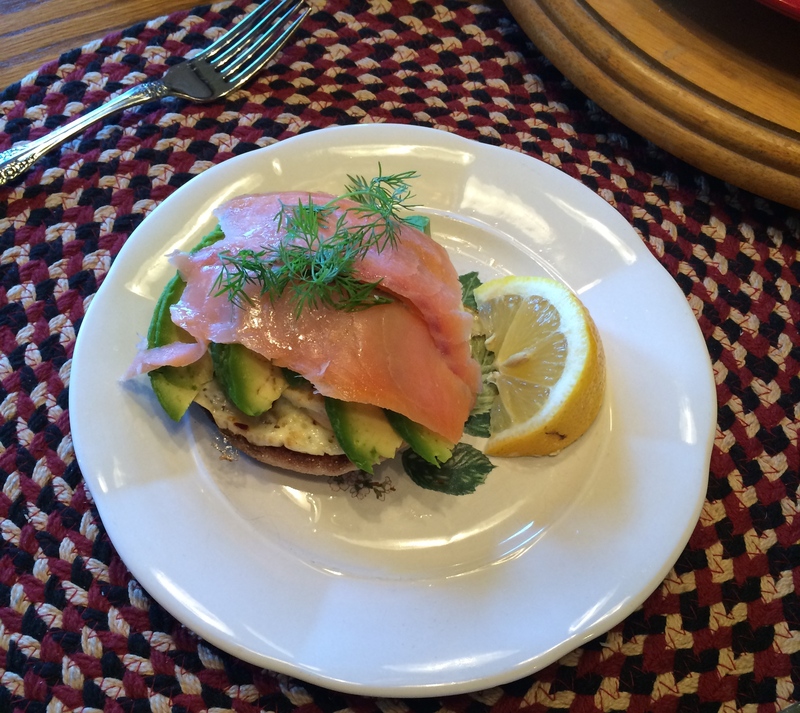 Yum … lox, avocado, eggs and english muffin. Add a little freshly squeezed lemon and fresh dill and you have a great start to your day without any gloppy hollandaise. These eggs benedict are fresh, delicious and healthy for someone on a low potassium/low carb diet (and the calories are low too!). While avocado and lox are high in potassium, they also have many health benefits (and taste great), so minimizing portion size on both of these foods manages the potassium content while tingling your taste buds and helping to keep you satisfied until lunch. Thinly slice one avocado half. Spray a frying pan lightly with spray oil and fry eggs to desired consistency – over easy, medium, or hard. Add onion powder, garlic powder, and fresh cracked black pepper on top of the eggs, to taste. Split and toast english muffin. On each half, place a cooked egg, half of the sliced avocado, 1 oz. lox. Squeeze on lemon juice, and sprinkle chili flakes and fresh dill on top.